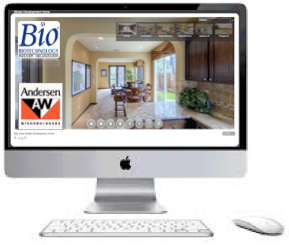 Virtual Facility Tour - Bring buildings, corporate head quarters, interior design, assembly lines, over-sized equipment and factory floors to your show and on-line community. This is the next best thing to get your guest to visit real properties. Here’s how it works, we create a picture tour of each sponsor’s featured property, The tour is over laid with sponsor branding and “call outs” of must know tour features. Multiple tours are placed into one tour directory. Show Site Activation - Guests access the tour directory at show site kiosks and on-line (for guest that do not attend your event). Watch amazed guests as they lead themselves on 360° tours, toggling down hallways, into assembly lines; to do so they mouse up-down, left- right, forward- backward or room-to room.